Perfect for the the Square Foot Gardener! 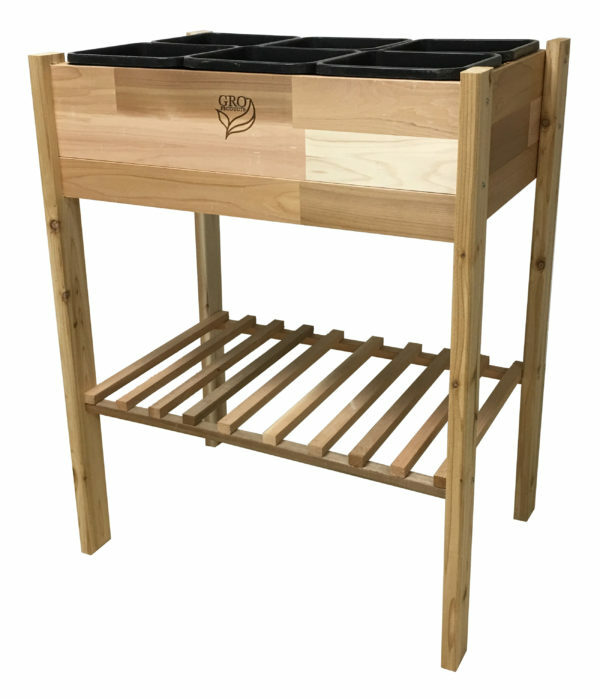 Plantables™ Elevated Garden Beds are the new and smart way to garden. Great way to plant Herbs, Vegetables and Flowers! Not only will you enjoy gardening without the stress on your knees and back but also the versatility of the removable containers in each Plantable™! For easy planting, you remove each container, fill with soil, plant and place back into the wood planter. 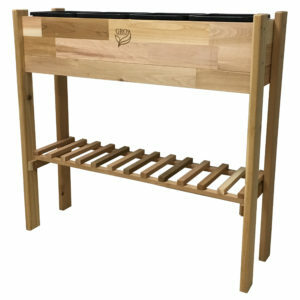 No more worries about wet soil rotting out your wood planter and easy to store away for the winter! Constructed in the USA with naturally durable, rot and insect resistant, select tight knot and finger-jointed, unfinished Western Red Cedar. Finger-jointed cedar alleviates the need to always mill solid planks of lumber from standing trees, which helps sustain forests and prevent wood waste, the Plantables™ are unassembled, quick and easy to assemble-all assembly hardware is included. Besides the Plantable™ versatility, there are many benefits in container gardening- easy to change soil, less disease problems, fewer pests and insects, less time weeding, the list is endless! 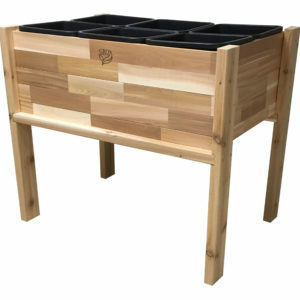 The Plantables™ are perfect for City and Country Gardeners of all Ages!